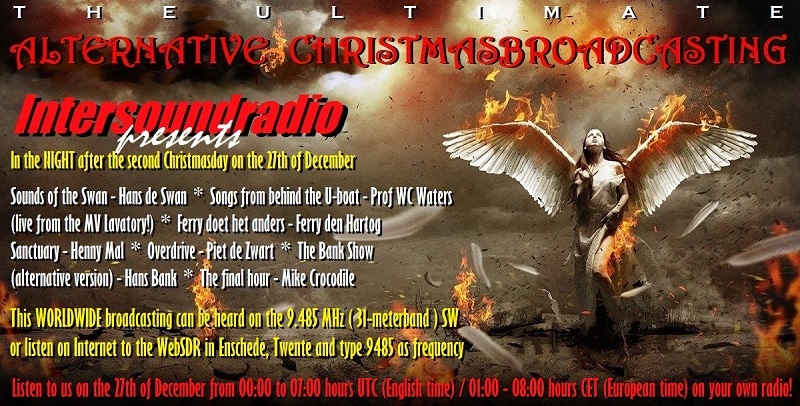 The "ALTERNATIVE CHRISTMASBROADCASTING" on the 9.485 MHz. ShortWave worldwide! Also it's there a possibility to listen at the WebSDR in Enschede, Twente (the Netherlands). Stay tuned en let's meet eachother on the 27th at the 31-meterband.